On the heels of a year when films such Django, The Butler, and 12 Years a Slave have made real the lived experience of black Americans, Waking Up White exposes critical aspects of the white experience. White people are thirsting for clarity on racial issues and the confidence to engage in conversation about them. Many people of color yearn for authentic, informed dialogue about racism with white friends, family, and colleagues. Waking Up White bridges this divide by functioning both as a “Racism 101” for white people and a rare exposé on whiteness for people of color. The book is a catalytic kick-starter that provides people of all colors and levels of racial awareness with the language and tools necessary to enter into cross-racial conversations about race within a less threatening context. For white readers wanting to further their own awakening, Irving includes short prompts and exercises at the end of each chapter. 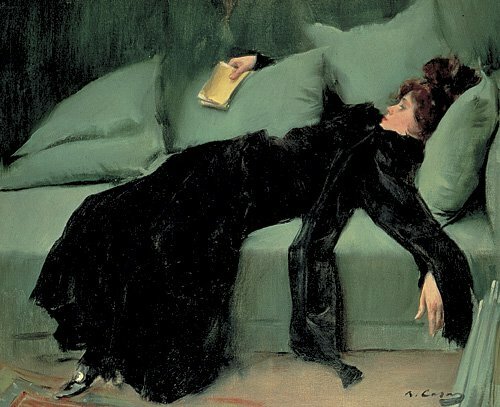 Waking Up White is a memoir that explores the concepts of race and identity through the eyes of a privileged white woman named Debby Irving (she even refers to herself a WASP). Irving is eager to understand the dynamics involved with race and identity. She realizes that her attempts at being inclusive have not always worked out the way she had envisioned. She was in college when she realized that "white" was a race - she had always thought she was race-less. With this memoir, she is able to be brutally honest about her ignorance regarding race and identity; and she is also able to share with us the ways in which she became more aware (self-aware) about these hot button issues. Irving's book is filled with personal anecdotes, reflections, and even provides exercises at the end of each chapter (questions to ask your self). The chapters are short, but pack quite a punch. Irving's writing is engaging, open, and aware. She's present in this book in such a refreshing way - you can't help but feel embarrassed for her at times when you read about something she's done or said that is cringe worthy. I found Irving to be authentic in her writing and really enjoyed getting to know her. 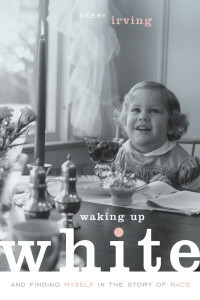 I would definitely recommend Waking Up White to anyone interested in nonfiction (memoirs) texts that tackle the subject of race and identity. I saw this on Shelf Awareness and was really interested. However, I am still not sure if I should read it - I think those cringe-worthy moments would probably make me sad and angry. I do think if it brings to light white privilege to white people, though, it can only do good work. Aarti, like you I was hesitant read this book. I did get mad at some of the cringeworthy moments mentioned, but I tried to look at it from Irving's perspective and the ways she was attempting to discuss race. She was recognizing her own role in the issue (even if she hadn't been fully aware of it). Oh wow. I'm incredibly interested in this now. What a great topic and from an unexpected perspective. I recently had a conversation about the idea of "whiteness studies"--a thing!--with a friend and it's been on my mind. Andi, definitely check it out. This book really raises a lot of questions and does push you to think about your perspective regarding race and identity. After a convo about "whiteness studies" I could definitely see how this topic would be on your mind - it would be on mine, too. "she had always thought she was race-less" Wow ... I don't even know what to say to that! What an awakening she must have had. Heather, this was such a fascinating read - so glad I was a part of this tour! I passed on this for review and I'm mixed as to whether or not that was a good thing. It sounds fascinating and probably great for a discussion group.